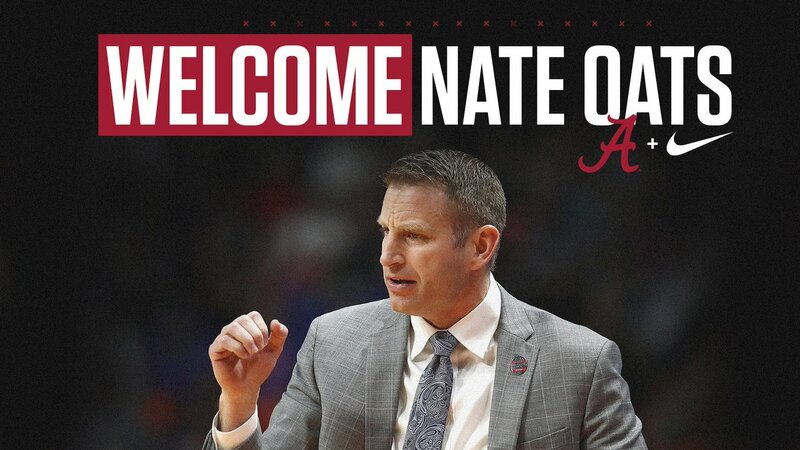 Alabama officially named Nate Oats as the new head coach today. It's no secret that I had him at number 9 on my list, but there's a lot to like about him. There's no doubt it's a gamble, as is the case with any mid-major, but it could pay off big. After a long, successful high school career, he served for 2 years as an assistant at Buffalo before taking over as head coach. In 4 years as a head coach for the Bulls, he's made the tournament 3 times with an upset win over Arizona last year and a first round win over Arizona State this year. He is a former math teacher and embraces the analytics of the modern game. Buffalo ranked 21st in adjusted offensive efficiency, 31st in adjusted defensive efficiency, and 12th in adjusted tempo. Here's a great SI Article from last month about him. You really should take the time to read it, but some of the highlights that I found compelling were that he believes in practicing hard and giving the players a lot of freedom in the games, and being upset about only beating a team by 18 that he felt they should have beat by 35 or 40. Having a team that won't take the foot off the gas with a comfortable lead will be a refreshing change. The main question is can he recruit at a level necessary to do that in a power 5 conference? Time will tell, and a good place to start would be getting Kira and Petty back from the transfer portal. I suspect he will be meeting with the Watfords in the very near future as well. I know we all wanted a "bigger name," but this guy deserves a chance and I hope everyone will give him their full support. We'll have more after the press conference and I'll post some additional thoughts on the hiring whenever I get around to drafting my annual end-of-season manifesto.